Last week was my birthday and I decided I was going to order some stuff and treat myself!! 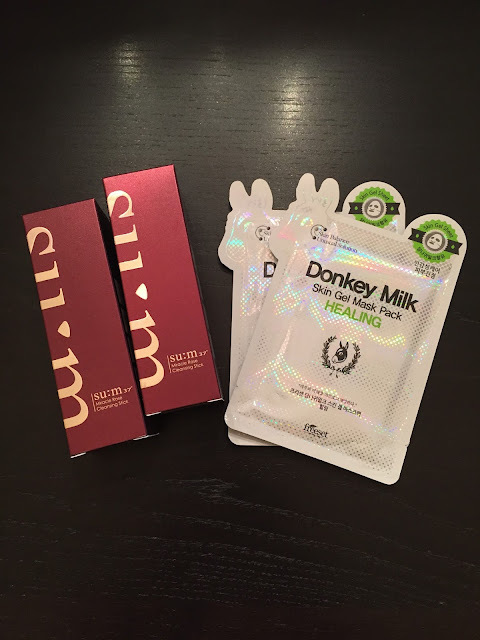 I ordered a few goodies from Wish Trend here and these products from Memebox. I must admit that recently I have been struggling with my skin. There are many factors that are contributing to this recent skin flair up. I am currently working on posting about this experience soon. Unfortunately, my skin has become very angry and rebellious and I have had to back off all of my actives :( For the past several weeks, I have only been using the bare bones when it comes to skincare. The Su:m 37 Miracle Rose Cleansing Stick is said to offer a deep cleanse, targeting dirt and impurities and clarifying pores. Composed of natural fruit extracts and fermented botanical herbs, this cleanser says it offers a deep cleanse without irritating or stripping the skin. I do a fair amount of traveling and was very intrigued by the stick formulation. I was also drawn to this cleanser due to the ingredient list that include Su:m37's signature fermented filtrate and well as rose extract. 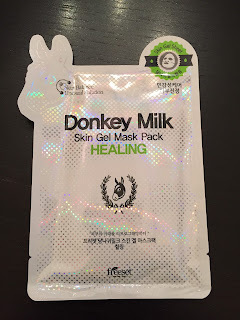 The last product I added to my Memebox cart was a few of the Freeset Donkey Milk Skin Gel Sheet Masks! If you are on Reddit you will know that these masks are all the rave!! The aqua and whitening ones were sold out :( but I was able to pick up two of the healing type. 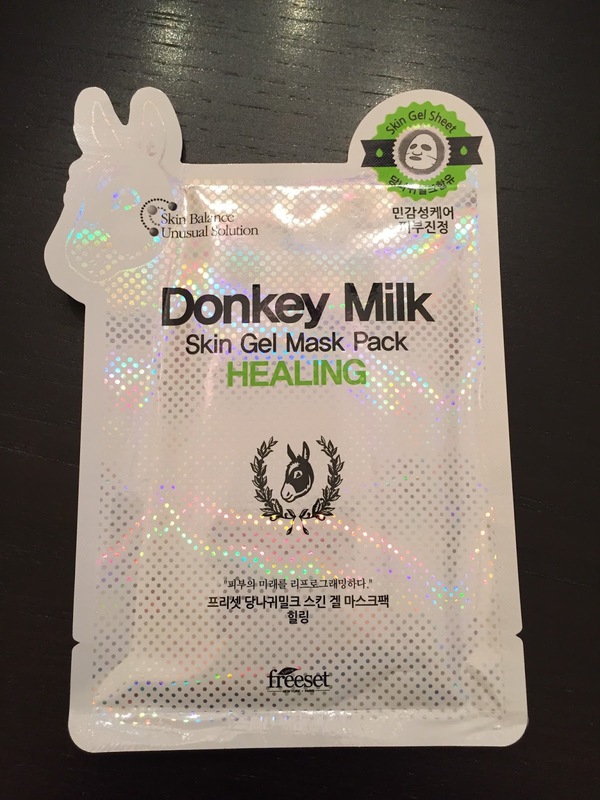 The healing masks are recommended to those with sensitive, irritated or damaged skin. My skin has been all of the above lately so I thought I would try out these sheet masks to see if it works at calming and soothing my skin back to normal. Have you tried these products?? What are your thoughts? ?